GSEB: Standard 10th & 12th Science Annual Exam Result Related Important News: GujaratJob.in Is Providing Daily Current Affairs In Gujarati And English, Online Tests, General Knowledge PDF Files, Educational Updates, CCC News, Exam Notifications, Results and lot more things. So Stay Connected to us for Latest Study material. Educational website and here we given all types of Educational news. 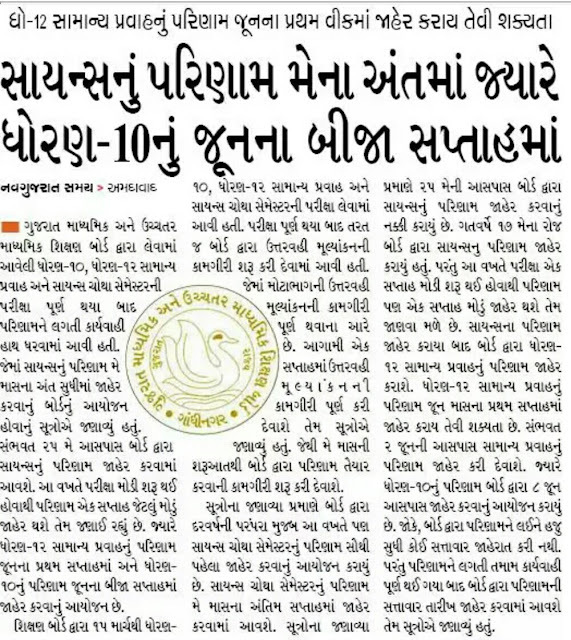 All Gujarati newspapers educational news cuttings are put in this blog. we can add a post from some leading Gujarati newspapers like Sandesh, Divya Bhaskar, Gujarat Samachar, Akila, Sanj Samachar and much more. 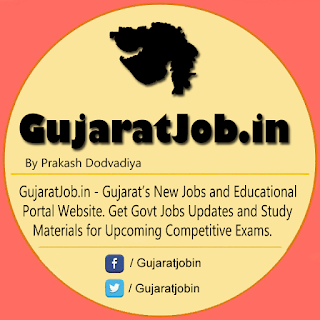 so daily visit and stay connected with getting all type of news like Job, Result, CCC, Teachers related, All circulars, Admission, study material, GK, Question bank, and much more.